You surely recognize Stilled Stilinski in Teen Wolf and Thomas in The Maze Runner. Both were played by Dylan O'Brien. Besides them, he took the role in American Assassin, The Internship, and The First Time. This article will give further information about Dylan O'Brien biography and filmography that includes Dylan O'Brien biography, Dylan O'Brien birthdate, Dylan O'Brien Instagram account and his love partner. 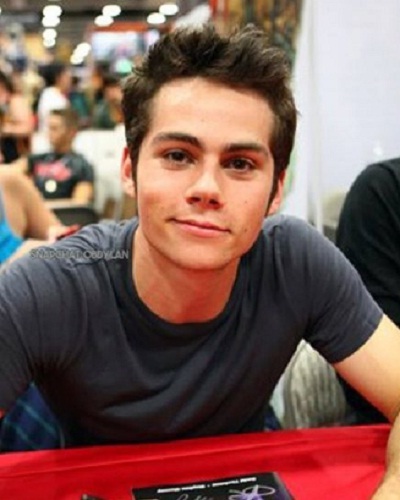 Dylan O'Brien was born on August 26, 1991, in New York City. His father is a camera operator, Patrick O'Brien, and his mother is Lisa Rhodes, the former actress. His mother has acting school and lived in New Jersey then moved to Hermosa Beach, California in his twelve. He attended Mira Costa High School and graduated in 2009. He was not an actor and in the acting scene at first. He became producer and director in his YouTube channel. Besides, he had a rock band called Slow Kids at Play. In this band, he was the drummer. Moreover, he went to some auditions for movies and television roles. One of his interests was Teen Wolf who was auditioned to become Scott, but O'Brien chose Stilled took four hours for casting. His other project was High Road alongside with Abby Elliott, Horatio Sanz, Lizzy Caplan, and Rob Riggie. He starred in The First Time alongside Britt Robertson. This romantic comedy movie was directed by John Kasdan. It was released in 2012 at Sundance Film festival. One of his movies was The Internship in 2013. He acted with actors Owen Wilson and Vince Vaughn. He turned down the role of Glimmer due to a scheduling conflict. The next project was The Maze Runner, adapted the film from the novel with a similar title. The filming was in 2013 while he was not in Teen Wolf due to hiatus. After that, he also took part in its sequel, Maze Runner: The Scorch trial. This sequel was available in theatre in 2015. The third installment was filmed in 2016 titled Maze Runner: The Death Cure. The news stated that he was injured during this filming because of a vehicle accident. His injury was serious and required long recovery before started the filming again in 2016. Another movie was Deepwater Horizon that he starred alongside Mark Wahlberg based on Deepwater Horizon event in 2010. He also participated in the action thriller film titled American Assassin. He played the character, Mitch Rapp. In 2018, he had cast to become the part of The Education of Fredrick Fitzell and Bayou. Both movies are still in the development stage.